Gurudevan observed ‘tapas’ (penance) and meditation in ‘Pillathadam’ cave on the top of Maruthwamala in the search of ‘Ultimate Wisdom’. Maruthwamala is located in Kanya Kumari district of Tamil Nadu and it is at this place where Sree Narayana Guru attained his Enlightenment during this epoch of solitary and meditative period. ‘Nanu’ – The name, by which Sree Narayana Guru was fondly called during his young age, went for advanced yogic lessons by Thaikkattu Ayyavu Swamikal – a spiritualist and a social reformer. In fact, Chattampi Swami, who was a close companion of Gurudevan, has taken him to Ayyavu Swamikal, his own guru. Ayyavu Swamikal was one of the great teachers of ‘Siva Raja Yoga’, an ancient yogic technique. He imparted the principles of Advaitha to his disciples. Nanu was influenced by the teachings of Ayyavu Swamikal, where he said ‘Intha Ulakathile Ore Oru Matham, Ore Oru Jathy, Ore Oru Kadavul Than’. (In this world there is only one caste, one religion and one God). Sree Narayana Guru translated this doctrine into Malayalam – ‘Oru jaathy, oru matham, oru daivam manushyanu’ which sowed the seeds of social renaissance in Kerala. After attaining the knowledge, as per Ayyavu’s advise, Nanu went in search of a secluded place suitable for ‘tapas’, which lead him to the ‘Pillathadam’ cave. The area was secluded with heavy forest and inhabited with wild life. Here, Gurudevan spent around eight years doing tapas, undergoing a reclusive life with yoga and meditation. Only nature and wild life was his companion during his quest for the realization of Brahma residing within himself. It is believed that, the Maruthuwamala is a fragment of the Sanjeevani Mountain, which fell down, while it was being carried by Hanuman from Mahendragiri to Lanka for healing the fatal wounds of Lakshmana, the younger brother of Sri Rama, the epic hero. It stretches for more than a kilometer and has a height of around 800 feet. The Pillathadam is a big and well-hidden cave, where many a great yogis in the past performed tapas, and is on the top crest of Maruthwamala. The cave is paved with white sand and surrounded by nature green. 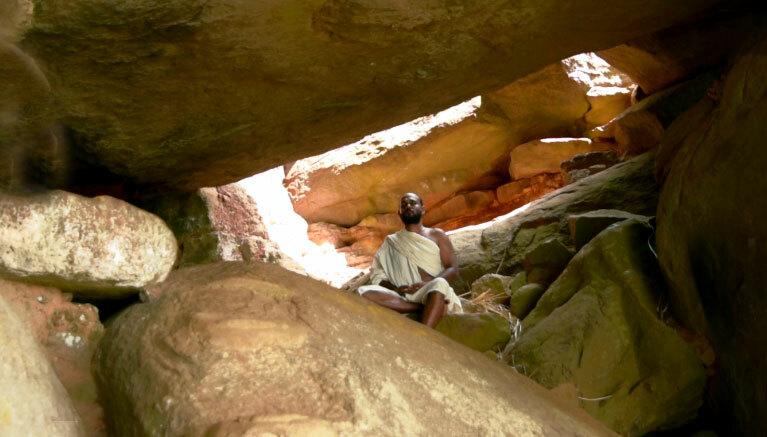 Sree Narayana Guru lived in this cave with wild animals as his companions, doing penance and paving the way for the great historical social revolution.